Are Sugar Alcohols Your Ticket to Guilt-Free Sweets? Even at first mention they sound like an amazing idea. Sugar and alcohol?!? !, sign me up, right? They are a type of sweetener that gives you the sugary taste with about half the calories and have shown to cause little to no insulin spike compared to regular sugar. I know what you’re thinking, why isn’t this spread on everything? Unfortunately, there is no alcohol in sugar alcohols. They are actually a carbohydrate so named because their chemical structure is a hybrid between a sugar and an alcohol molecule. They are also called polyols. They occur naturally in many fruits and vegetables such as apples, avocados, cherries, and watermelon, but often the ones used as sweeteners are produced artificially. Sugar alcohols are used in low sugar and low carb versions of regular foods and are commonly seen in low sugar syrups, chewing gum, candy, ice cream, baked goods, and fruit spreads. They work because they are slowly or incompletely absorbed into the blood stream. This causes little to no insulin to be used to convert them to energy. Much of the sugar alcohol bypasses the bloodstream all together and goes straight to the small intestine. They also don’t promote tooth decay since mouth bacteria doesn’t act upon them. In fact, one type of sugar alcohol, Xylitol, actually inhibits the formation of mouth bacteria, and you see it used extensively in sugar-free gum. Still on board? Hell yeah, they sound like the perfect sweetener. There’s just a tiny little negative to them that you should know about. They might cause you to shart yourself. Wait, what? Unfortunately, that’s right. 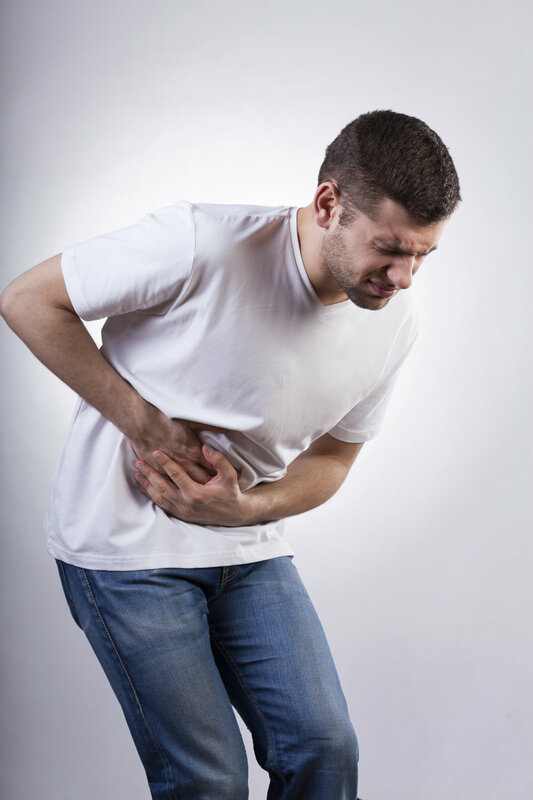 When sugar alcohols pass into the intestines pretty much undigested, the bacteria attacks them causing fermentation and gas build up, which can lead to bloating and cramps. At the same time, they draw in water. I don’t want to paint too vivid of a picture, but imagine what comes next when you have a watery bowel under pressure. I'll let you digest that for a second. Here is a list of the sugar alcohols you will see. Most, but not all, end in –ol. I bet a few of you have just run out to tattoo that list on your arm as a warning to never consume anything with any sugar alcohols. For everyone else, know that there are ways to eat them while lessening their negative effect. The effects that sugar alcohols can have vary from person to person, and can change based on quantity consumed and can be magnified if ingested on an empty stomach. Also, one type of sugar alcohol may cause an adverse effect and another almost nothing, so it is important to know what types affect you if you choose to consume them. If you are going to have food containing sugar alcohols, it is recommended that you eat a small quantity of them as part of a larger meal and eat them with food containing fiber to offset their laxative effect. Limit the quantity consumed and beware of the hidden, but significant amounts you may be ingesting through things like gum and cough drops. I found one report of a woman having years of stomach pain, only to see it completely resolve after she stopped chewing sugar-free gum. And, that is an important take away. If you have otherwise unexplained gut issues, take a look at your food labels and see if sugar alcohols may be the cause. Also be aware that sugar alcohols are only required to be listed by quantity in the Nutrition Facts if a product is advertised as “sugar-free”. In some foods, you will only notice they are there by reading the ingredients. Keep in mind that eating larger amounts of some fruits and vegetables containing natural sugar alcohols can cause similar abdominal distress. So, don’t eat that whole bowl of guac and chips by yourself. 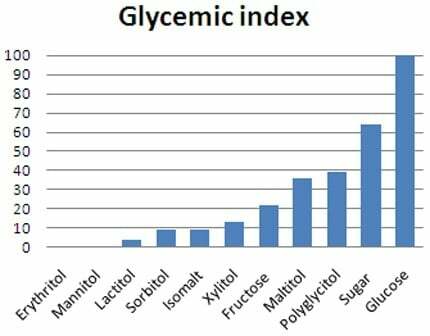 For some people with diabetic and insulin/blood sugar issues, sugar alcohols may be a way for them to enjoy a little sweetness with their foods without the harmful effects regular sugar would cause them. They are probably aware of the trade off and accept the gut problems sugar alcohols may cause them. Unfortunately, when it comes to nutrition, there are no short cuts. The best policy is always to eat real, whole foods. Variety and moderation are words to live by. Sugar alcohols just aren’t the super molecule sweeteners we wish they could be. Your body is trying to tell you, and often those around you, that it doesn’t want them in you.